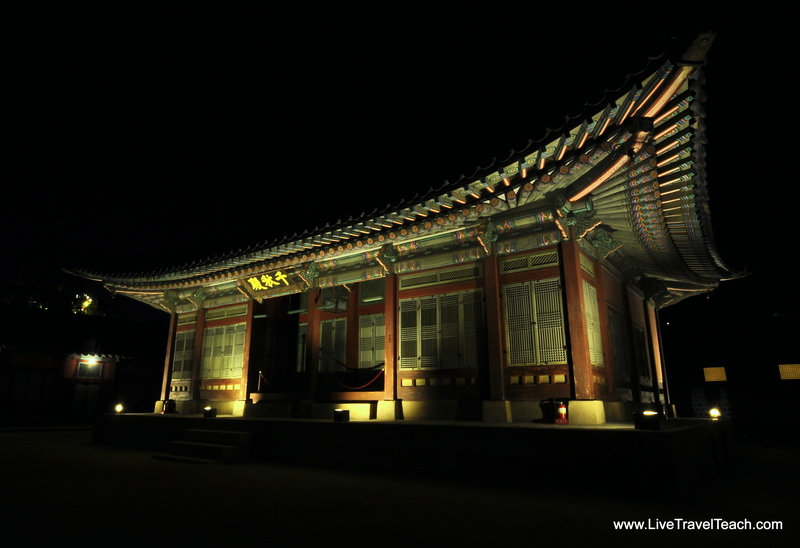 The Korean Royal Palaces have night viewings throughout the year. The most up to date information can usually be found on english.visitkorea.or.kr but I’ll try to keep this page updated too. The palace will be open in the evenings and they proudly light throne rooms and gateways making it a night photographer’s dream. 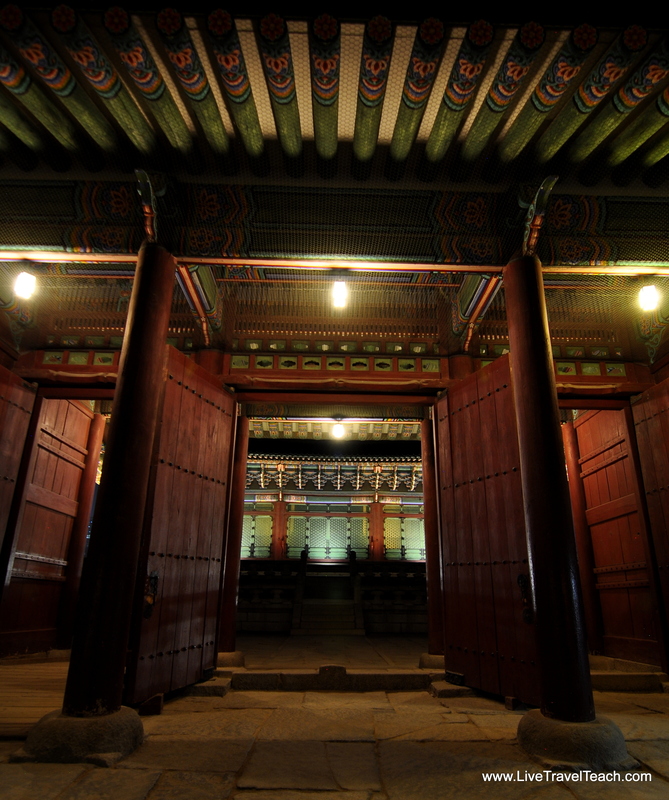 Changgyeonggung Palace has viewings a few times a year but all of the 2017 ones have finished. Stay tuned for 2018 night viewings! Monday night I hobbled over to Gyeongbukgung Palace where Ronda and I met Francis, Susan, & Iko (whom I met in Boracay a few years ago.) We were lucky enough to catch opening night ceremonies for a new month-long exhibit at the royal palace! This exit puts you out inside the main gate. Don’t take the bus to get here. Too much traffic & Subway is perfect! Francis is a seasoned photographer and joined me in capturing some amazing scenes as the royal blue sky turned midnight black behind colorful, kingly architecture. 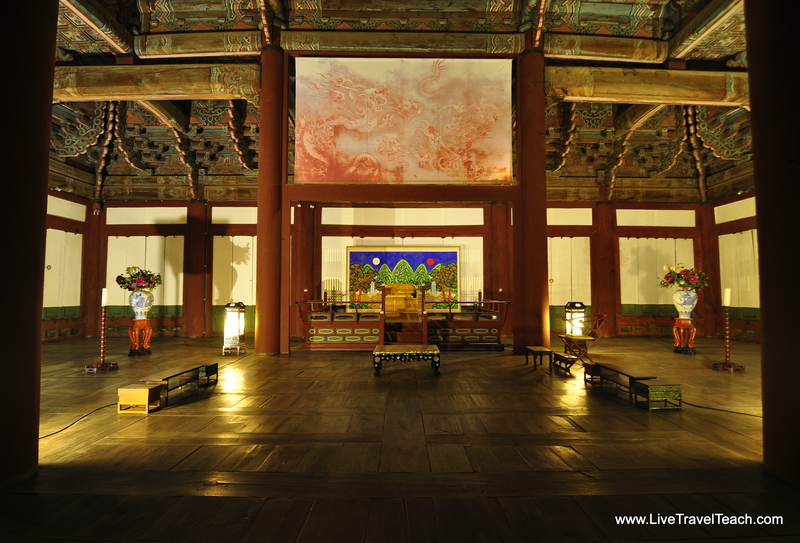 We even caught a few artistic performances depicting traditional and historical scenes from throughout Korean history. 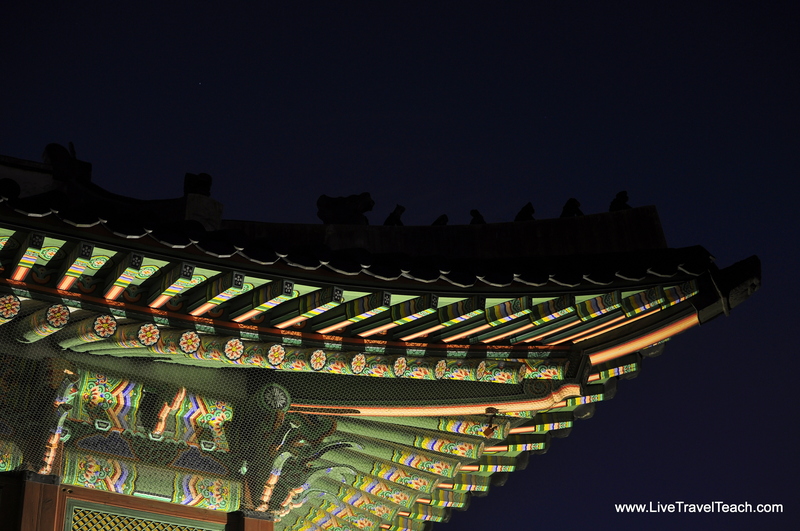 Everything from 아리랑 (Arirang instrumental Korean folk) to mask dances and light shows dazzled all those in attendance. 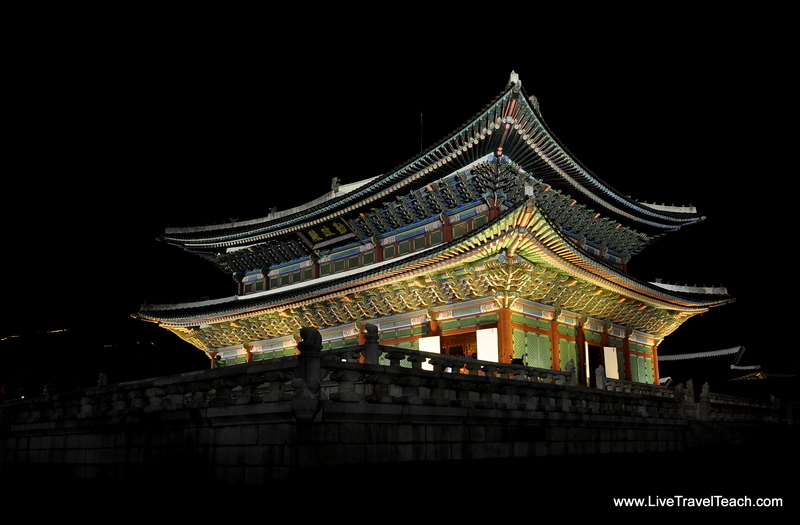 The night viewing of Korean palaces usually lasts between 2-4 weeks and comes a few times a year. Ronda and I were fortunate enough to catch Changgyeonggung in their last viewing of 2016 and captured some stunning photos! -Walk turn left and walk straight along Daehangno. -At the end of the walking street take the slight left down the main road. -5 minutes down the hill you’ll see the palace on your right. 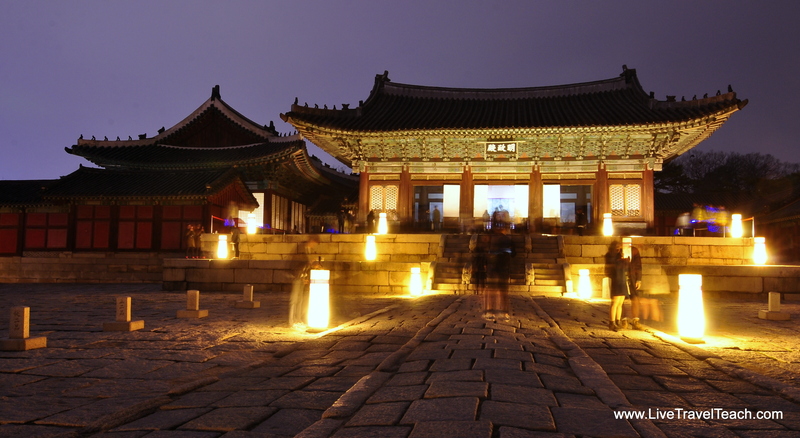 – Walk straight from the exit (east) along Yulgok-ro for about 1 km (past Changdeokgung palace). – Turn left (north) onto Changgyeonggung-ro. – Walk about 300 m to find the palace entrance on the left. 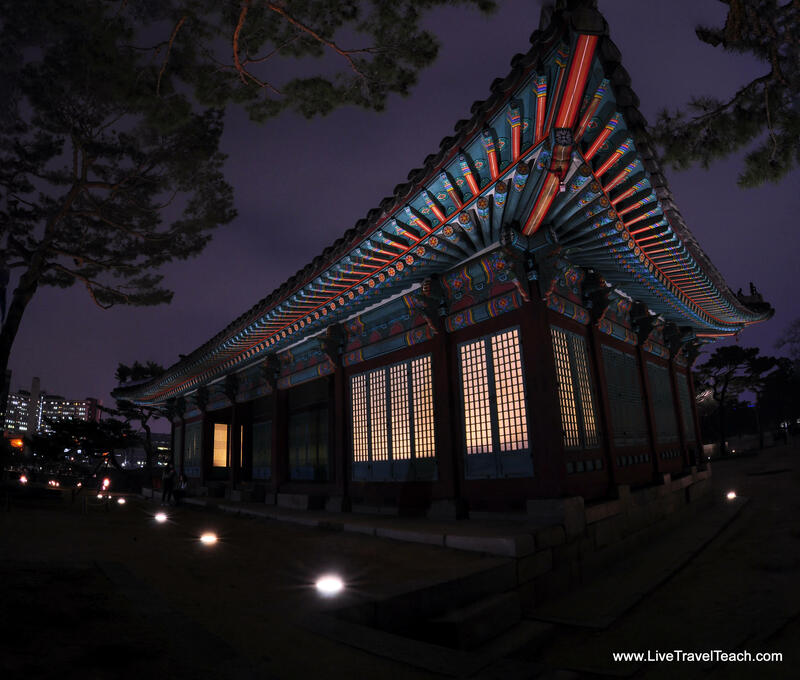 The night lighting on these ancient palaces in Seoul highlights traditional colors and provides a stark contrast to the typical tour that most of us expats and tourists have experienced. I highly recommend checking out these night viewings if you’re in town during one of these special events! 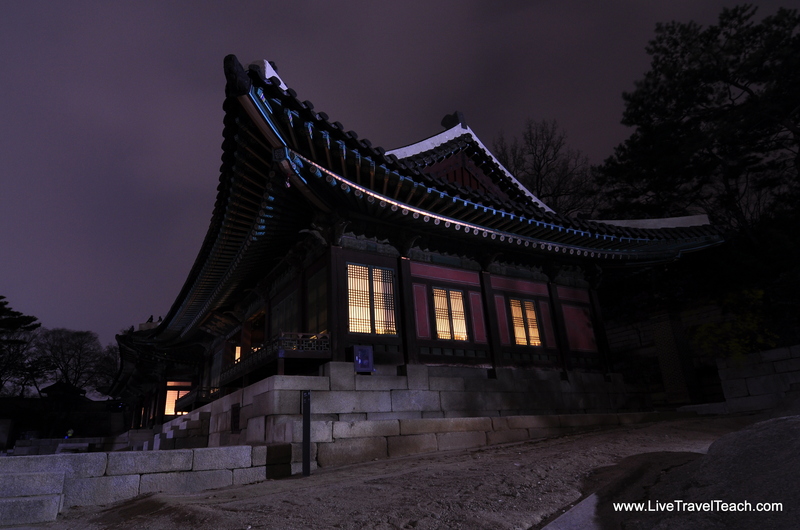 When you come see one of the Korean palaces at night you will need to find a hotel in Seoul. Fortunately there are MANY hotels, Air bnb, guest houses and hostels for you to pick from. Hotels in Seoul tend to sell out especially during special events and festivals so I recommend booking them online ahead of time. 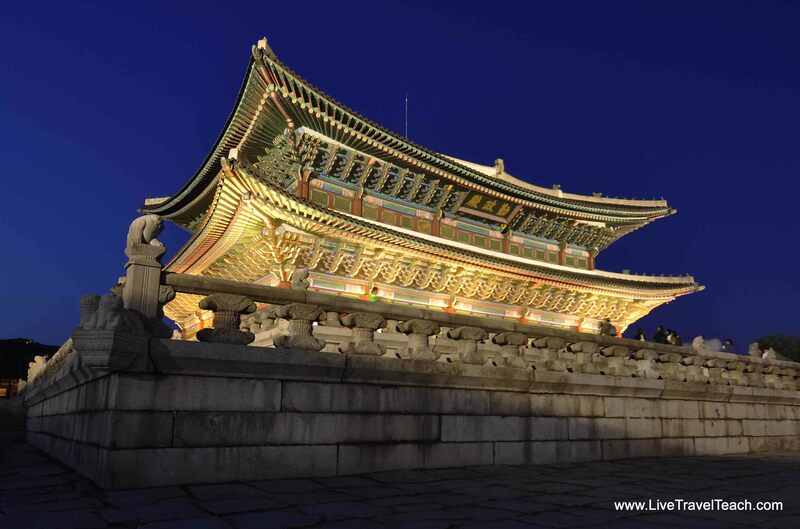 Koreans love to travel their own country which is why its important for you to book your hotel in Seoul before you arrive. 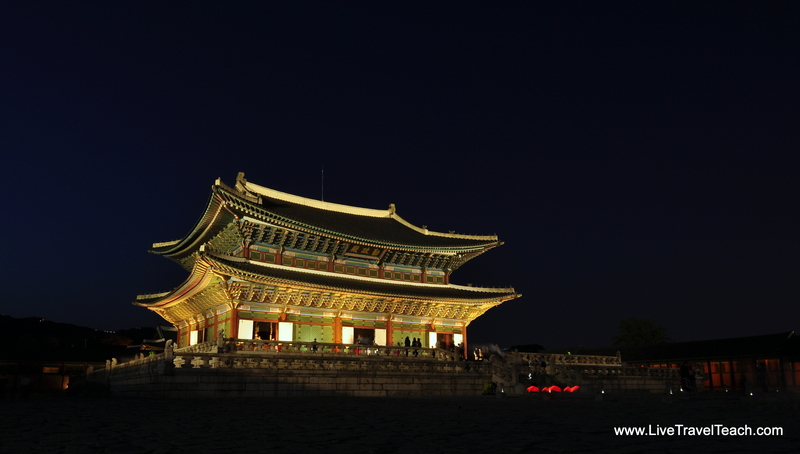 Here are some suggestions for accommodation near the palaces for any type of budget. The prices are subject to change based on season and availability so make sure you check the booking site for the most accurate information. Star Hostel Insadong – $31 and up – The Star Hostel Insadong is the cheapest place you can find near the palaces of Seoul. 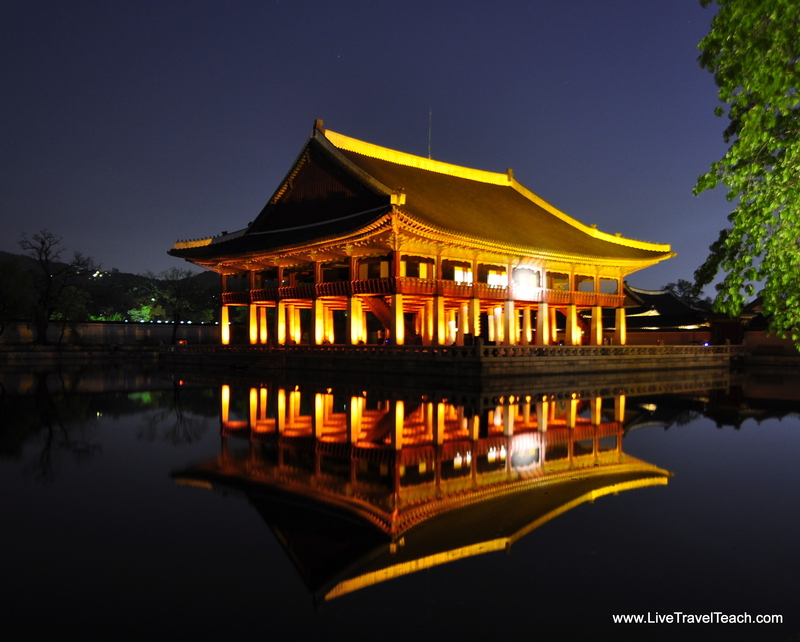 It comes highly rated by couples traveling on a budget and is a great choice for your trip to see the palaces at night! Hostel Korea – Original – $25 and up – The Hostel Korea – Original offers the lowest prices in the area but luckily you don’t have to sacrifice too much at this budget friendly hotel. Its near the subway but a bit of a longer walk to the royal palaces. AMASS Hotel Insadong Seoul – Rooms as low as $54 – This hotel is right next to Changdeokgung Palace and you can easily see both the palace and N. Seoul Tower from their awesome rooftop! Centermark Hotel Insadong Myeongdong – Rooms as low as $61 – Centermark Hotel is right in the heart of Seoul’s shopping districts and a short walk to the palaces too. Its great for couples who want to have a lot in their rooms but don’t have a huge budget. Somerset Palace Seoul – Rooms from $117 and up – This 4 star hotel is a great luxury hotel for anyone who doesn’t want to go ALL OUT. IF you want it all then check out the Four Seasons below. But Somerset Palace is a beautiful hotel in the heart of Jongno-gu and less than 10 minutes away from the Gyeongbukgung main gate! They’ve got a rooftop swimming pool and plenty of other amenities making it great for a romantic couples getaway! 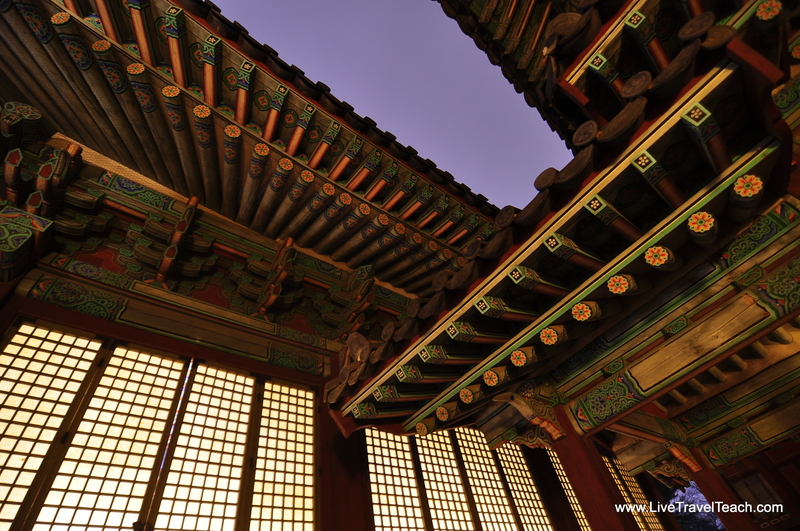 Be sure to leave a comment below letting me know about your favorite palaces around the world! A busy month ending with an OUCH!